For those who have never heard of berberine, prepare to be impressed by the therapeutic properties of this natural alkaloid compound. Revered for centuries in Ayurvedic and Traditional Chinese Medicine, berberine alkaloid extracts are well known for their significant and broad pharmacological activities, including immune enhancing, atheroprotective, antimicrobial, antibacterial, antiparasitic, antioxidant, anti-obesity and anti-inflammatory properties. Traditionally utilized for the natural treatment of intestinal infections, digestive diseases and diabetes, berberine alkaloid extracts are found in the roots, rhizomes and stem bark of plants that include Oregon grape, goldenseal, goldthread, tree turmeric and phellodendron. Even more impressive, clinical studies have shown that berberine has glucose and cholesterol lowering properties as well. 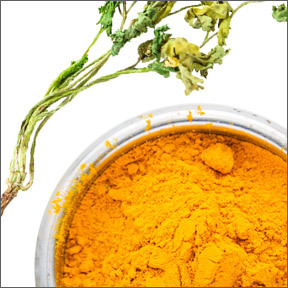 Numerous studies have shown that berberine improved endothelial dysfunction, increased glucose utilization, decreased glucose absorption in intestinal cells, significantly decreased triglycerides, increased HDL cholesterol and reduced LDL and total cholesterol, an effect similar to statin medications. In diabetic patients, berberine was shown to reduce glycemia and plasma cholesterol. In those with metabolic syndrome, berberine improved lipid and glucose profiles, and decreased body mass index and waist circumference. Twenty-seven randomized controlled clinical trials concluded that berberine has therapeutic effects on type 2 diabetes, hyperlipidemia and hypertension with no serious side effects. In the treatment of hypertension, hypoglycemia, and high cholesterol, the study found that berberine along with lifestyle intervention tended to lower blood pressure, blood lipids and blood sugar more than a placebo or lifestyle intervention alone. Although additional randomized controlled studies are warranted, these findings suggest that berberine might be considered a potential therapeutic approach as a first line treatment for hypercholesterolemia, diabetes, hypertension, hyperlipidemia, and hypertension over an extended time period. Along with resveratrol, berberine is one of the few known compounds to activate adenosine monophosphate-activated protein kinase (AMPK). Also known as the “metabolic master switch,” AMPK resides in the body’s cells where it plays an important role in regulating metabolism, inducing a series of events that are involved in maintaining energy homeostasis. AMPK regulates biological activities that normalize lipid, glucose and energy imbalances. When AMPK regulated pathways are dysfunctional, it can trigger symptoms of hyperglycemia, diabetes, lipid abnormalities and energy imbalances. Well-functioning AMPK helps to shift energy towards cellular repair and maintenance and helps the body return to homeostasis. As a promising health-promoting substance, berberine has powerful effects on various health aspects. If you are pregnant, taking medication or have a health condition, please consult a healthcare practitioner before starting any supplement regimen. Berberine 500 mg by Integrative Therapeutics: One capsule provides 500 mg of Berberine HCL in support of metabolic function, and healthy blood sugar and insulin metabolism. Sugar, salt, yeast, wheat, gluten, corn, soy, dairy, artificial ingredient, preservative free, vegetarian formulation. Berberine HCL by Bioclinic Naturals: One capsule provides 500 mg of Berberine HCL in support of healthy glucose metabolism, healthy blood lipids and cardiovascular health. Dairy, starch, sugar, wheat, gluten, yeast, soy, corn, egg, fish, shellfish, salt, tree nut, artificial ingredient free, Non-GMO, vegan formulation. Berberine Balance by Douglas Laboratories®: This blended formula includes berberine, alpha lipoic acid and grape seed extract in support of healthy blood sugar and cardiovascular health. Yeast, wheat, gluten, soy protein, dairy, corn, sodium, sugar, starch, artificial ingredient free, vegan formulation. Berberine Synergy™ by Designs for Health: This product supplies 400 mg of berberine plus 100 mg of alpha lipoic acid per capsule in support of optimal blood sugar and insulin levels and cardiovascular and liver health. Gluten free, Non-GMO vegetarian formulation. Berberine 500 mg by Vital Nutrients: One capsule provides 500 mg of berberine HCL in support of healthy blood sugar and triglyceride levels and cardiovascualar health. This entry was posted in Home and tagged Berberine 500 mg by Integrative Therapeutics, Berberine 500 mg by Vital Nutrients, Berberine Balance by Douglas Laboratories, Berberine HCL by Bioclinic Naturals, Berberine Synergy™ by Designs for Health, Professional Supplement Center, The Impressive Health Benefits of Berberine, Vitamins and supplements, www.professionalsupplementcenter.com. Bookmark the permalink.